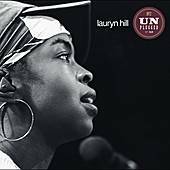 As a member of crossover rap trio the Fugees, Lauryn Hill probably grabbed more than her fair share of attention at the time, striking quivers in the hearts of music-lovers everywhere with her achingly beautiful rendition of Roberta Flack's "Killing Me Softly." 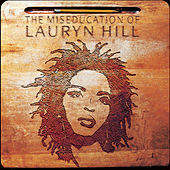 But it wasn't until her 1998 solo effort The Miseducation of Lauryn Hill that Hill's remarkable talent for meshing hip-hop, R&B, and classic soul fully came to light. Blessed with a velvety, honeyed voice and an instinctive feel for catchy, soulful grooves, Miseducation had a hit hiding in every track. While not as musically complex as some other contemporary R&B, the album struck a chord with millions of listeners. Urban themes and female empowerment met middle-class nostalgia head-on amidst equal parts Stevie Wonder, Coasters, and original, fresh hip-hop flows. No wonder a raft of talented colleagues couldn't wait to collaborate with Hill: Miseducation sees duets with Mary J. Blige, D'Angelo, and guitar licks by the likes of Carlos Santana on the heartbreaking ballad "Zion."